Mon, Tue, Thurs, Fri @ 4pm – 5:30pm AND Wed @ 3 – 4:30pm. This class will introduce kids to the world of painting and drawing. It is focused towards helping the beginner become more fluent and comfortable with the different media. Students will be taught to paint on canvas and paper using a step by step instruction. They will explore color, brush types, composition, and finishes to create a colorful piece of art. Kids will practice their painting skills with an acrylic painting for half of the class and we will alternate between drawing, watercolor and other media for the second half between days. 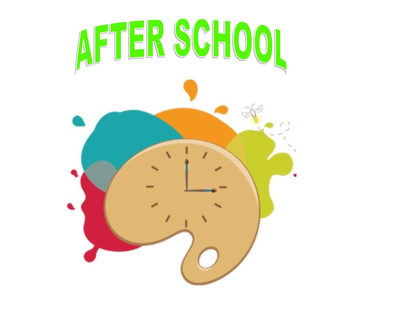 We will work on monthly projects, so it is recommended that kids take at least one class a week on the same day of the week. That way, they can work on improving their skills. Single day registration is only encouraged for kids to try the class and see if they like it. (Call the studio to check availability for single day registration- 847.315.0882). However, we will finish a project every 3 to 4 classes on the same day of the week, so single day registrations might not be able to take home a finished product. Single day registration only by phone or in person. *Must choose specific day(s) of the week. *Class does not meet when school is not in session. We have pick up service from all DPS109 schools!